Dental crowns replace the exterior portion of a tooth to re-establish its original shape and function and to create a natural appearance. Crowns are the treatment of choice in situations where tooth decay has destroyed most of the original tooth, when a traumatic event has caused damage, or in cases where most of the tooth is restored by a dental restoration. They are also an option for people who grind and clench their teeth so much that the original structure of their teeth has been compromised. A dental crown is a tooth-shaped “cap” that is placed over a tooth in order to restore a tooth’s shape and size, strength, and/or improve its appearance. A traditional crown encases the entire visible portion of a tooth from top of tooth to the gum line. A 3⁄4 crown covers the entire exposed surface of the tooth except the visible surface next to the lip (labial) or cheek (buccal). 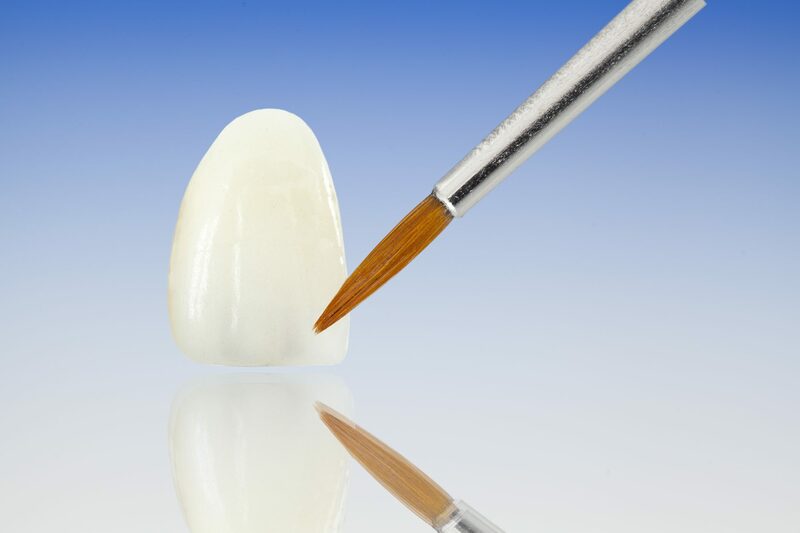 Dental veneers, also known as porcelain veneers or dental porcelain laminates, are wafer-thin, custom-made shells of tooth-colored materials designed to cover the labial/facial/frontal surface of a tooth/teeth. Dental veneers are made from porcelain or resin composite materials. With dental veneers, as opposed to dental crowns, the natural teeth remain largely intact with only a minimal amount of the tooth being altered to fit the veneer.